Lighten up your backyard setting with these beautiful solar lanterns! 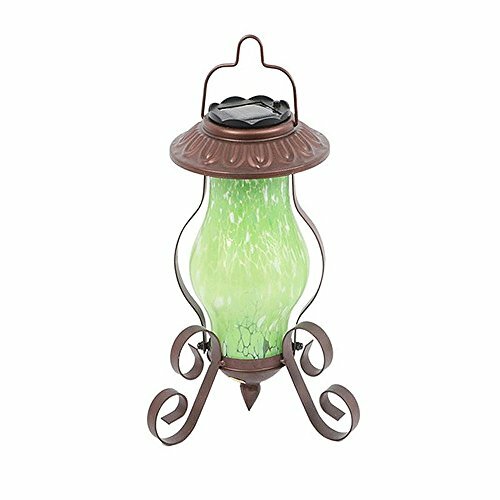 Glass lantern features swirled glass design with metal hanger and footing and solar panel. View More In Tabletop Lighting. If you have any questions about this product by Dennis East International, contact us by completing and submitting the form below. If you are looking for a specif part number, please include it with your message.